Karnataka is a state in South India located on the Western Ghats beside the Arabian Sea. 20.19% of the geographical area in this state is under forest cover. This amounts to a wide 38,720 sq. km. Such a large forest cover means innumerably large diversity of flora and fauna. This is further enhanced by the presence of marine life in the nearby sea and the wildlife-rich mountains of Western Ghats. Spread across an area of 870 sq. 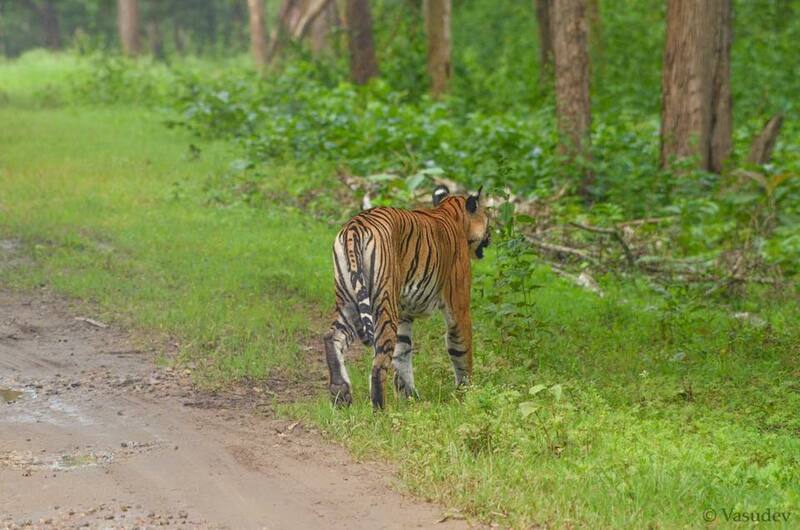 km, Bandipur Tiger Reserve is one of the premier and oldest Tiger reserves in the country. Bandipur National Park was established as a Tiger Reserve in 1974 under Project Tiger. It falls in the Gundlupet taluq of Chamrajnagar district. Once a private hunting spot of Maharajas of Mysore, Bandipur National Park protects several endangered wildlife species of India today. It is popular for spotting elephants and tigers. The place is also dear to bird watchers. The park provides facilities for bus, elephant and jeep safaris. You can choose any of them depending on your interest. However, Elephant and jeep safaris are more suitable for the adventurous task of tiger spotting. Elephant safari is available between 10 and 11 AM. It usually lasts for an hour or so. You can avail the Jeep Safari during 6-9 AM and 4-6 PM. It is a 2-3 hours ride and accommodates a maximum of six people. You can also book the Jeep safari for a single person. 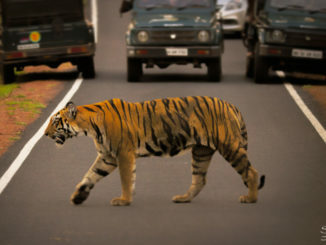 Beware of the drivers that offer an evening safari at Bandipur National Park. Official safaris aren’t available beyond 6 PM in the evening. Night safaris are illegal here. This is the thirty-seventh Project Tiger, tiger reserve of India, declared so in 1999. Also popular as Rajiv Gandhi National Park, the area is part of Nilgiri Biosphere Reserve. It is one of India’s premier tiger reserve. The park gets its name from a combination of naga and hole. The former refers to snakes and the latter means streams. The park used to be an exclusive hunting ground for Mysore rulers of Wodeyar dynasty. It was made into a national park in 1988. 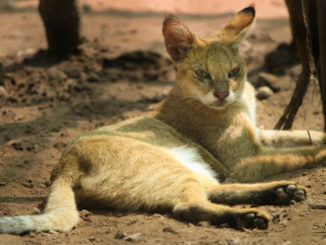 The park has a healthy predator-prey ratio which contributes to its rich population of big cats. Bengal tigers and Indian leopards are two major attractions of Nagarhole National Park. You can tour around the park and take a look at these majestic beasts sprawling around leisurely. Safari services are available at 6.30 Am to 8.30 AM in the morning and 3.30 PM to 5.30 PM in evening hours. The safari usually lasts about an hour and is an incredible experience unlike any other. 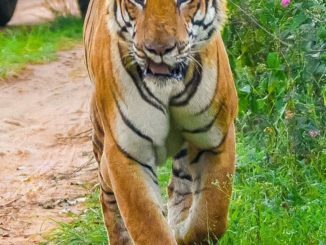 BRT Tiger Reserve is located at the border of Karnataka and Tamil Nadu, which also happens to be a confluence point of the Western and Eastern Ghats. The reserve is originally called Biligiri Ranganatha Temple Tiger Reserve. 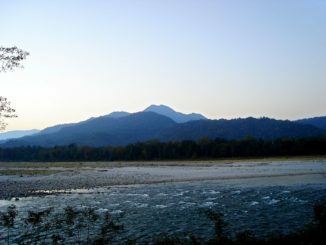 It stands on what is popular as the BR Hill Range. The wildlife sanctuary became a protected reserve under the Wildlife Protection Act of 1972 and was declared a tiger reserve in 2011. 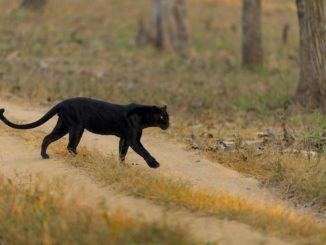 You can spot tigers, leopards and also the now rare black panthers. Jungle safari is the main attraction of this place. You can also indulge in amateur fishing, coracle boat rides, river rafting and outdoor camping here. 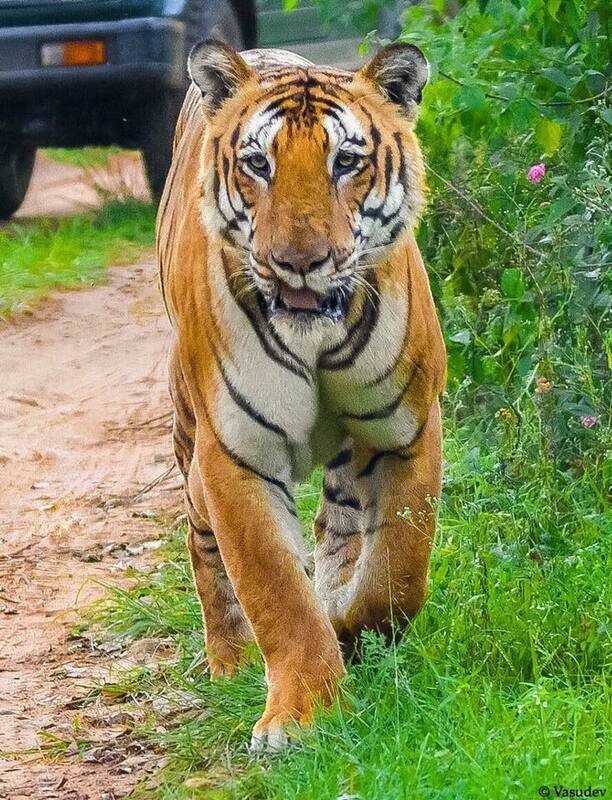 Kali tiger reserve is located in Uttar Kannada district of Karnataka. 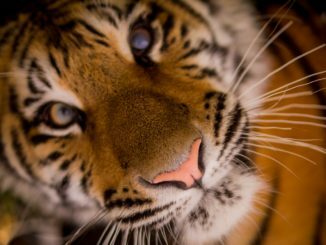 It is popular for its residents Bengal tigers, black panthers and Indian elephants. The reserve is spread over 1300 sq. km of forest area. 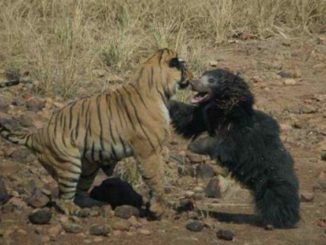 The reserve area previously consisted of the Anshi National Park and Dandeli Wildlife Sanctuary. 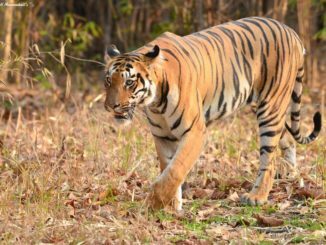 They were granted a combined status of Tiger reserve and renamed as ‘Anshi Dandeli Tiger Reserve in 2007. 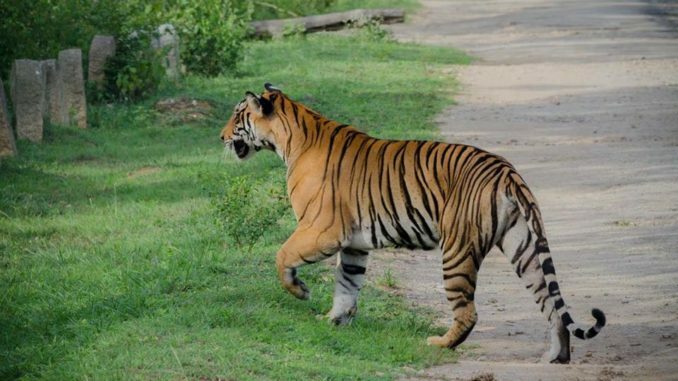 In 2014, the reserve was renamed to Kali Tiger Reserve. The name is inspired by the river Kali that is the lifeline of Uttar Kannada district. You can take up rock climbing, mountain biking, rafting, camping, jeep safari and trekking in the forest. These activities not only give you a rich serving of adventure but also many opportunities to spot wildlife in their undisturbed habitat. The park opens at 6.00 Am onward until 6.00 PM. It is well connected to major cities by road and rail network. Dharwad and Belgaum airports are the closest ones. Bhadra Tiger Reserve is located 38 km north-west of the Chikmagalur town. 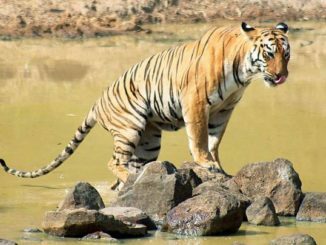 It was declared a Project Tiger tiger reserve in 1998. It spreads over an area of 492 sq. km. The sanctuary gets its name from the river Bhadra flowing through it. 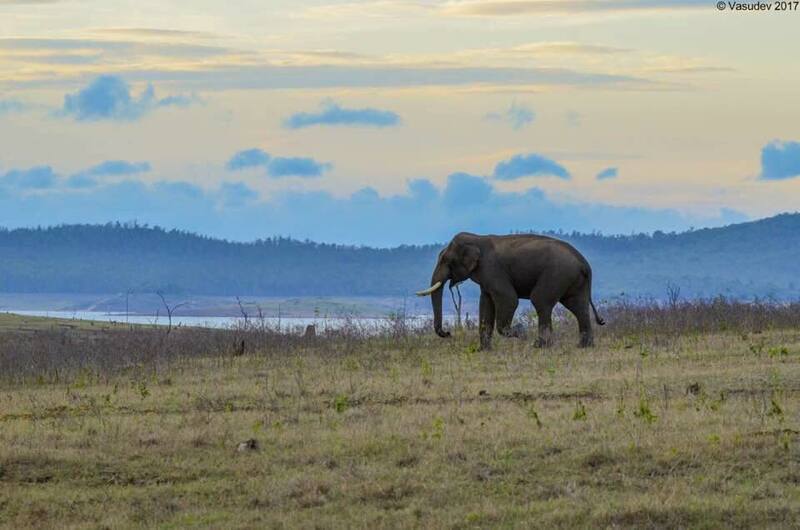 Bhadra is a biodiversity hotspot and contains a rich variety of flora and fauna including big cat species. 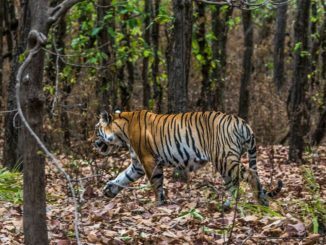 As per the most recent Large Mammal Census of Bhadra, 33 tigers and 22 leopards reside in the sanctuary. 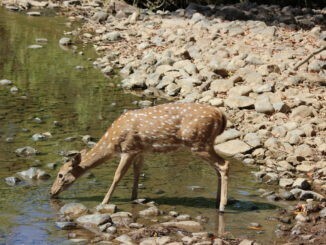 You can also spot Elephants, Gaur, Chital, Sambar, Wild Boar in Bhadra Wildlife Sanctuary. The sanctuary offers jeep safaris, rock climbing, trekking and several other water-based adventures. Moobkambika Wildlife Sanctuary gets its name from the Mokambika Temple dedicated to Goddess Mookambika – a prominent local deity. The sanctuary is located in Udupi district and covers an area of 247 sq. KMs. It is located about 125 Kms from the city of Mangalore. The sanctuary is divided into three zones: core zone, buffer zone and tourist zone. Each of them covers around 114, 90 and 43 sq. km of area respectively. You can spot leopards and tigers here. Lion-tailed macaque, sambar, barking deer etc are also found.